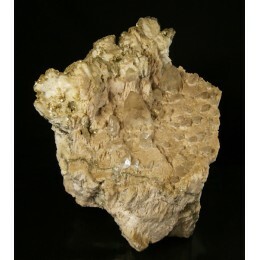 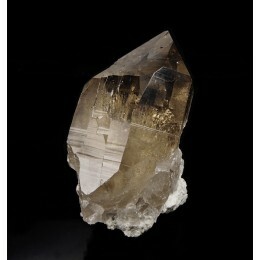 -90x60x70mm- Aesthetic specimen of doubly-terminated quartz crystals -var. 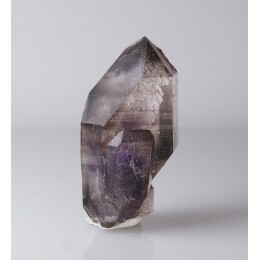 amethyst- of inten..
-70x35x60mm- Intense lustrous dark Ferberite crystal on the center, flanked by two very trans..
-73x30x62mm- Totally transparent quartz crystals druzy on massive epidote matrix. 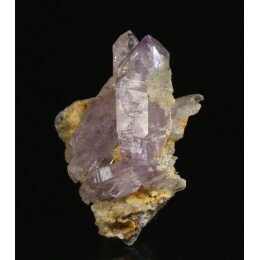 A beaut..
-70x21x40mm- Very lustrous and transparent Amethyst crystals of beautiful color from this cla..
-60x46x51mm- Intense lustrous and translucent Cassiterite twinned crystals settled aerialy on..
-85x50x65mm- Group of Ferberite crystals accompained by a slightly smoky Quartz crystal, ..
-30x11x24mm- Intense lustrous deep black color Ferberite crystal of striated faces, associate..
-95x40x45mm- Ferberite crystals group in parallel growth, of good luster, partially coated by..
-100x40x85mm- Lustrous black bladed crystals on transparent drusy quartz crystals ..
-65x60x60mm- Lustrous black bladed crystals on transparent drusy quartz crystals ..
-120x25x45mm- Intense lustrous Quartz crystal with the top half part totally transparent that..
-75x25x45mm- Intense lustrous Quartz crystals group with the top half part totally transparen..
-75x40x74mm- Very aerial quartz crystals groups, very lustrous and totally transparent, on ma..
-160x50x80mm- Intense lustrous very transparent Quartz crystals covered by hematite, that giv..
-155x65x105mm- Intense lustrous translucent Quartz crystals covered by hematite, that give th..
-85x65x45mm- Smoky Quartz crystals of intense brightness and totally transparent, on a small ..
-180x125x135mm- Lustrous transparent tabular quartz crystals, with oriented growth on granite..
-42x20x30mm- Very lustrous crystals of beautiful color on matrix ..
-40x15x36mm- Blak intense lustrous Cassiterite crystals settled on the top of a floater matri..
-90x25x60mm- Intense lustrous and blak Cassiterite crystals settled on a plate matrix covered..
-55x38x50mm- Intense bright gemmy Cuprite crystal of sharp edges and deep red color settled o..
-55x4x20mm- Intense lustrous transparent faden quartz crystals group ..
-45x16x31mm- Intense lustrous Ferberite crystals group of striated faces, associated wi..
-85x40x55mm- Intense lustrous and very transparent Quartz crystals accompained by Arsenopyrit..
-80x35x40mm- Drusy of divergent very lustrous Quartz crystals accompained by Dolomite and min..
-60x27x43mm- An outsanding specimen for this locality: water clear quartz crystals on a matri..
-50x27x26mm- Intense lustrous and very transparent gemmy Quartz crystals with Smoky and Ameth..
-57x30x27mm- Totally transparent and doubly terminetad slightly smoky Quartz crystals on a sm..
-70x35x45mm- Intense lustrous and totally transparent Quartz crystal with inclusions of Chlor..
-90x40x75mm- Intense lustrous and very transparent Quartz crystals floater group, with some z..
-55x30x40mm- A beauty combo specimen from Panasqueira: a central transparent Quartz crystal p..
-125x40x115mm- A not-common and aesthetic specimen from the well-known Moscona Mine, featurin..
-75x42x46mm- Intense lustrous and totally transparent Smoky Quartz crystal. 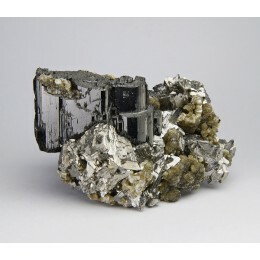 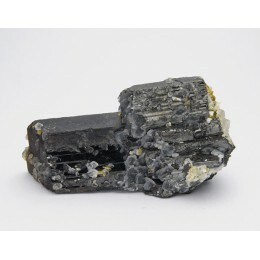 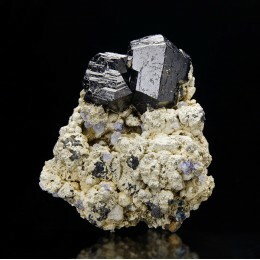 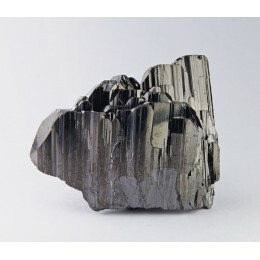 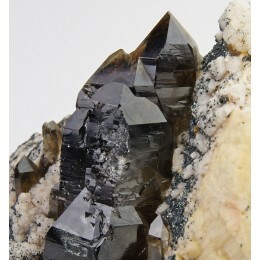 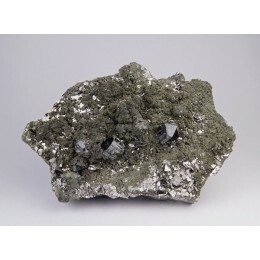 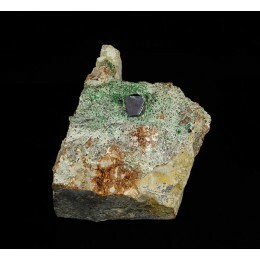 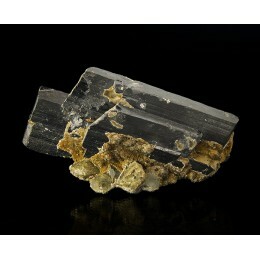 ..
-82x27x50mm- Beautiful spacimen formed by extraordinary lustre wolframite crystal with quartz..
-47x18x25mm- Group of parallel Ferberite crystals of intense brightness, accompained by trans..
-40x15x33mm- Group of very well definied and clear Ferberite crystals, of extraordinary brigh..
-65x55x30mm- Intense lustrous thick Ferberite crystal settled on a matrix of golden lustrous ..
-75x40x50mm- Intense lustrous opale on matrix ..
-90x50x60mm- Trasnparent, some doubly terminated, quartz crystals on matrix covered by epidot..
-45x30x30mm- Miniature size druze of quartz, with a main crystal very aerial, of intense brig..
-98x23x81mm- Very lustrous and well definied white Quartz crystal tips on a plate matrix ..
-95x50x65mm- Lustrous transparent quartz crystals, some of them doubly terminated, on a first..
-60x55x45mm- Red Quartz crystals -var. 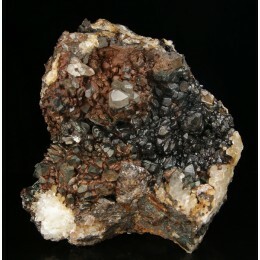 Eisenkiesel- settled on matrix. 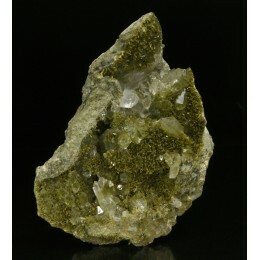 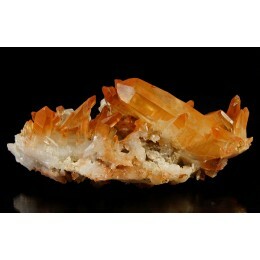 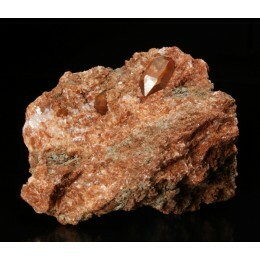 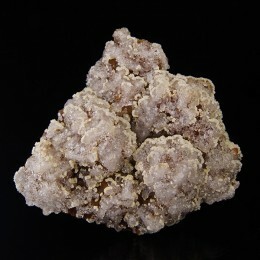 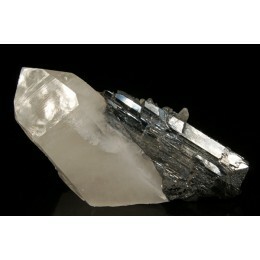 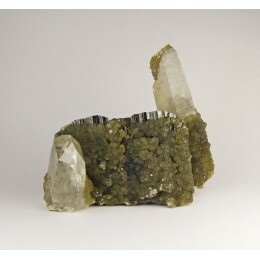 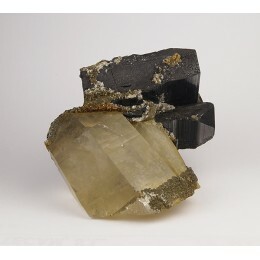 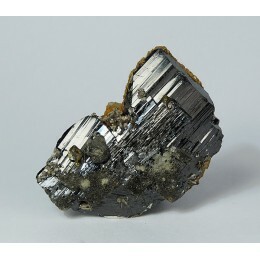 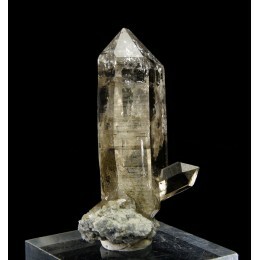 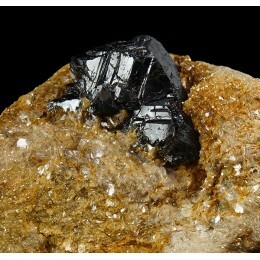 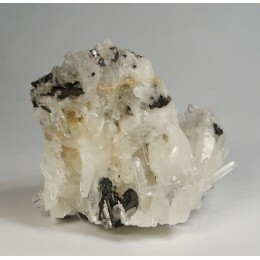 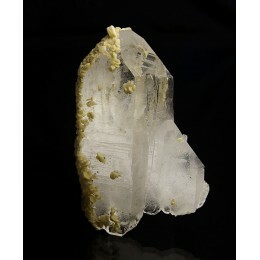 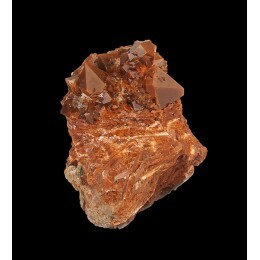 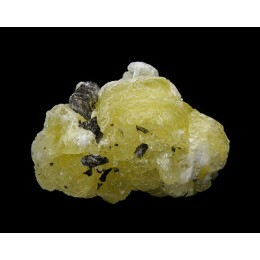 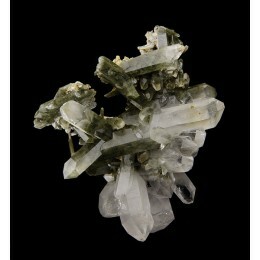 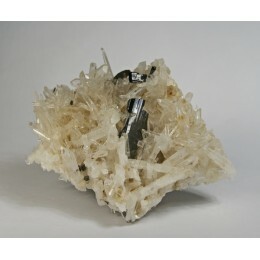 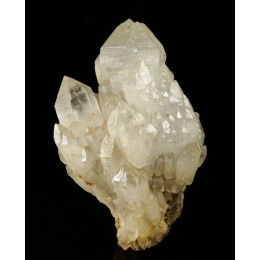 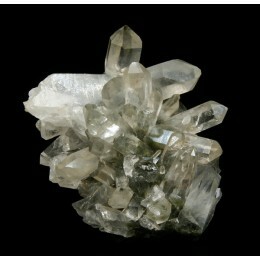 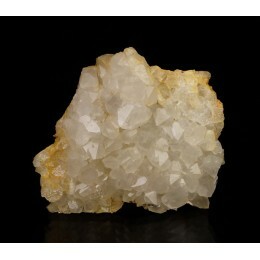 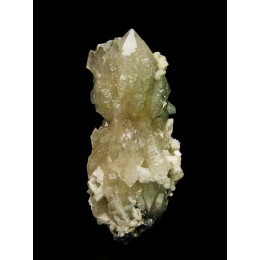 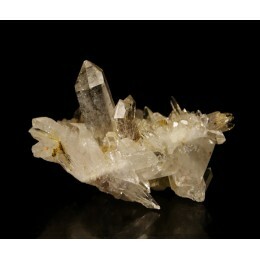 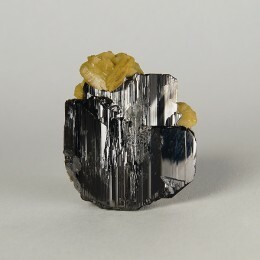 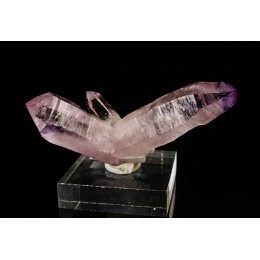 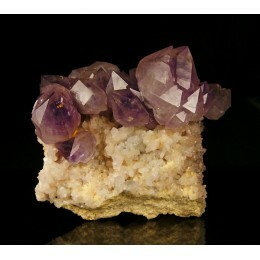 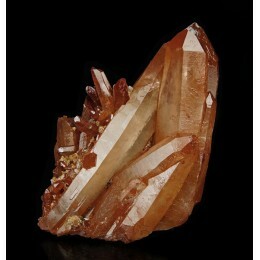 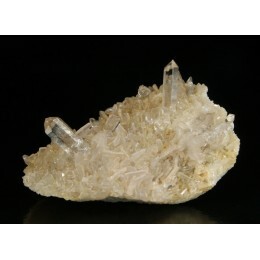 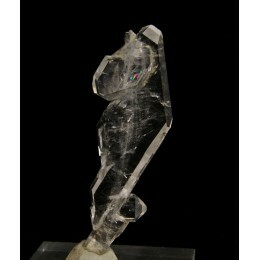 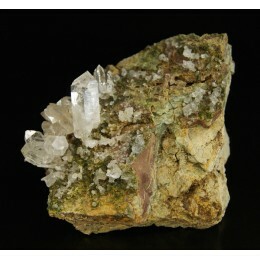 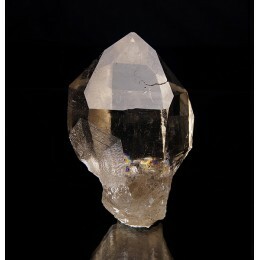 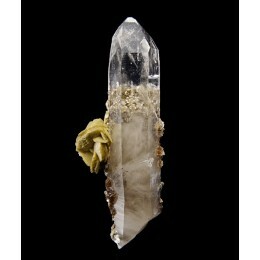 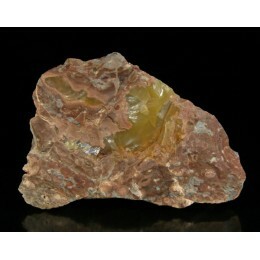 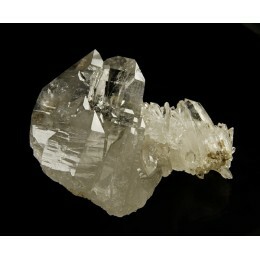 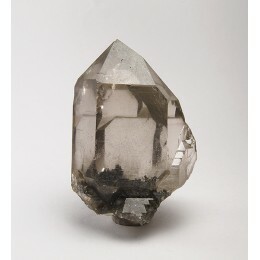 ..
-60x46x37mm- Doubly terminated quartz var. 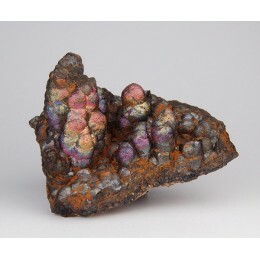 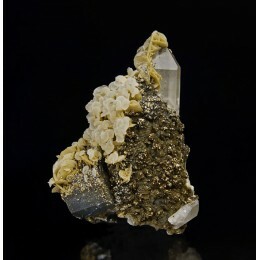 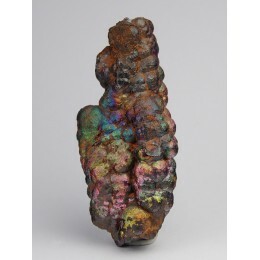 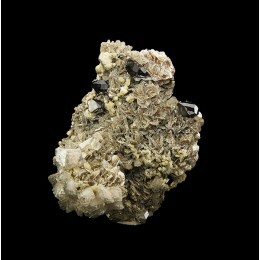 Eisenkiesel ( or jacinto de Compostela) crystals i..
-95x40x85mm- Group of smoky Quartz crystals in parallel growth on a group of Microcline pinki..
60x27x45mm- Agregate of bothryoidal groups of Brucite crystals of yellow color, more intense ..
-85x55x60mm- Deep black and lustrous Cassiterite crystals with striated faces, settled on a m..
-100x60x100mm- Iridiscent goethite of black and copper color on quartz druze crystals ..
-55x25x40mm- Botryoidal stalactite-shape Goethite specimen showing an intense and bright irid..
-45x15x20mm- Botryoidal stalactite-shape Goethite specimen showing an intense and very bright..